Hi there, Jayne here with this weeks challenge and as today happens to be my Wedding Anniversary, the theme I chose is a 'no-brainer'! Of course, I would like to see some ' Wedding Anniversary' creations. For once I was ahead of the game and had already prepared a card for my DH, so my offering today will be going to my parents who happen to be celebrating their Wedding Anniversary next week. 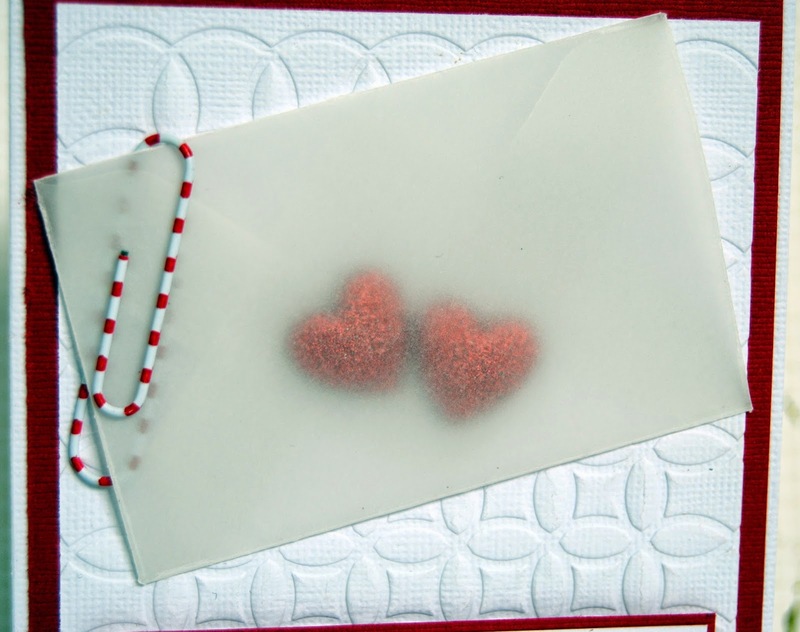 The little vellum envelope I made was quite tricky to photograph in order to get a clear shot of the two glittered enamel hearts inside. I hope you can join us for this weeks challenge......let's face it, who doesn't need an Anniversary card in their stash?! Just link up your creations below and I'll be sure to stop by. You are welcome to check out a little inspiration from the rest of the Girlfriends too. Thank you for letting me join your challenge! I'm joining the challenge! first time though... I like the transparent little bag on your card! Hope your anniversary was lovely! Thanks for the challenge. Thanks for sharing your personal Anniversary card with all of us. Congratulations!!! oops I didn't mean to enter it was already there and entered something that doesn't work for this challenge! Challenge #248 - Oh Snap!